Welcome back to a new CDS article, and this time we will be discussing a deck that has broken through into the competitive scene in the past through reliance on chance. Today, that all changes as I’m going to introduce you to low-chance Infernoids, relying on controlled milling and speedy drawpower! Before we start burning, let’s go over a quick character description of the Infernoid archetype. The Infernoid archetype is composed of FIRE/Fiend-type monsters, each having a Level from one to eleven, and excluding Infernoid Decatron, they cannot be Normal Summoned or Set. Instead, you banish one to three Infernoid monsters from your hand or Graveyard to Special Summon them from the hand or Graveyard while the total Levels and Ranks on your board is less than or equal to 8. Naturally, this means that you want to float a very large Graveyard to fuel the summons of all of your flaming demons. Lore-wise, the Infernoids are the pilots of the Qliphort spaceships, and they are the messengers of the Inferno who burn everything in their path! They were designed as a rival AI to that of Sophia as a means to reset the Terminal World if things went awry… Which they did. As always with the Duel Terminal storyline. But that’s enough about lore, let’s get into the actual deckbuilding and dueling side of the deck. In the past, there have been a couple of common ways to craft an Infernoid variant. The first, clearly the most popular, features the Spell Cards Reasoning and Monster Gate. As described above, having more monsters in the Graveyard to fuel summons is always helpful, and since only one of the demons can be Normal Summoned or Set, it is a perfect match. You probably have seen this deck in some shape or fashion in the past, but even if you haven’t, you can imagine just how explosive it can be IF you hit a lucky mill. Another form of Infernoid has revolved around Lightsworn monsters, using their End Phase milling effects to provide all of the fuel that you could ever need. Again, this variant is highly luck-reliant, and there are many combinations of cards that you quite simply don’t want to see in your hand or that you want to see sent from your deck to the Graveyard. Each mill is different from the last, there is no consistency. The last Infernoid variant that has most recently gained traction is the Burning Abyss Infernoid hybrid that popped up at various regional qualifiers. This build relies heavily on monsters and monster effects, but manages to spam out incredible fields including Crystal Wing Dragon alongside Infernoid Devyaty that are very hard to break. This deck has the opposite limitation compared to the last two – it actually can run into problems finding enough fuel for its summons, as the main and sometimes only form of milling is Infernoid Decatron and Dante, Traveler of the Burning Abyss. But as you probably expected, I will not be talking about any of these variants, because I want to talk more about what the Infernoid’s “Void” Spell and Trap support brings to the table to compensate for and alleviate these luck and consistency issues intheme. First up on the list of Void cards, Void Launch is clearly designed to be the main fuel source for your summons. Each turn, you get to send any two Infernoids from your deck to the Graveyard. To many deckbuilders, this card is seen as being too ‘slow’, as you have to wait until your next turn to actually have any Infernoid monsters in the Graveyard; however, if you resolve its effect, you are guaranteed to have those monsters you need! No risky mills hoping to hit Infernoids! Next up for our support is Void Purification. Its effect is to add an Infernoid from the Graveyard to the hand in your opponent’s Standby Phase and return a banished Infernoid to the Graveyard during yours. To paraphrase, we have a card that recycles for a +1 every two turns it remains face-up, plus you also get to recycle your fuel back into the Graveyard for another summon. If you combine this card with Launch, you can actually get a pseduo-search loop going, letting you start getting all of your smaller Infernoids back to the hand where they can be Special Summoned. This also allows you to use Decatron turn after turn to mill the Infernoid that you need! Pretty self explanatory, Void Seer lets you protect an Infernoid monster from any card effects for a turn, then it also can banish itself from the Graveyard to stop the destruction of an Infernoid later in the duel. Next up, Void Expansion’s main use is to generate even more fuel for your summons, again during each of your Standby Phases. All of these cards seem very strong, but it’s truly the Continuous Spell Void cards that turn your deck from simply consistent into being powerful. Void Imagination uses the technology that the Infernoid’s stole away from the Shaddoll archetype, and it may just be the most powerful card in a pure Infernoid deck. Not only can you use it to ignore the Level restriction for limiting their swarming potential, but it also allows you to Fusion Summon the boss monster for the theme, Infernoid Tierra. Imagination also stole the capability to use Fusion materials from the deck, just as long as your opponent has a monster that was summoned from the Extra Deck. That’s 6 more monsters to fuel your summons, guaranteed to be Infernoid monsters! Last but not least, we have Void Vanishment, and this is the glue to tie everything together. By discarding a card, you get to add any of the aforementioned Void cards from your deck to the hand. While that doesn’t seem too spectacular, remember that each has a different situation in which it excels, so with the ability to tutor out whatever you want at any time can be extremely helpful. Lastly, remember that some Infernoids just Special Summon themselves from the Graveyard as well, so the discard really doesn’t hurt your card economy too bad, since Infernoids don’t need to have a large hand at the ready. But who says you don’t want a large hand. Now, if you’ve read this far, you probably are wondering where things are going to get interesting, and that my friends, begins right now. You see, this variant of Infernoid is amazing once it gets going, but it needs a bit more resources to start out – you can’t just hope for a Reasoning if you start out with a hand of Infernoid monsters. Also, it seems like you would have a lot of Infernoid monsters in the hand that could be much more useful hanging out in the Graveyard. As I’ve been trying to tell you over my many strategy articles, if there is a downside to any given strategy, see if you can find another theme to compensate for that weakness with one of its strengths. For ‘pure’ Infernoids, you need every Spell and Trap card you can draw, but you don’t need your Normal Summon too much, so let’s throw in some angels… And by angels, I mean the stuffed animals who died and then ascended, the Fluffals! Please try to contain your shock, I know I am being sacrilegious by combining Fairies and Fiends, but before you start ranting about my absolute lunacy, hear me out. The Fluffal Engine is all about drawing many extra cards over the course of a duel, just as long as you have a 2-card combo to start it all off. That 2-card combo is simply Fluffal Bear and Fluffal Wings. Discard Bear to set Toy Vendor, activate Vendor then discard Wings to draw a card. Here comes the one element of luck in this build – If you drew a Fluffal congrats for the additional +1 (and potential way to Special Summon Decatron from the hand for another eventual +1). If you drew an Infernoid, too bad so sad, it just goes to the Graveyard as fuel for a summon later on. Next up, use the effect of Wings in the Graveyard, banishing itself then Bear, drawing 2 cards and sending Vendor to the Graveyard, which then adds any Fluffal monster from your deck to the hand. So we started with a 2-card combo, then ended with a mill or draw, 2 new draws and a Fluffal to hand (to do the combo on the next turn as well). Additionally, your deck now sits 4 cards lighter, which means that you have a much higher chance of drawing into Void Vanishment and the other power cards that ensure that you can win the duel. Fun fact, this Fluffal engine works in many decks, but it does take a sizable investment of Main Deck space, so only use it in decks that need the draw power and with cards that like being sent to the Graveyard. So another good archetype with which to pair it would be the Super Quantum. Now that I’ve talked about the main twists of the build, let’s check out the key cards. Spell/Trap bomb, particularly useful against Pendulum decks. This is the card that paves the way for an OTK. Additionally, its monster negation effect is downright amazing when ensuring that your opponent cannot interrupt your plays with monster effects. While Onuncu technically boasts more attack power, this is by far your boss card that wins games. Monster bomb, opposite of Devyaty, particularly useful against decks that overcommit to the field. This is the card that opens the gates for the OTK, as long as the way is paved first by clearing their backrow! Its secondary effect is arguably more effective at disrupting the opponent, especially against decks that rely on Spells or Traps to get their combos going. This is your boss card that breaks boards. The detached head of Devyaty, this is your key card because it allows you to mill any Infernoid of choice plus get its effect. Plus, it is a tuner, so you can create some pretty cool plays. In a deck like this, you can actually combo it with many Infernoid combos to make PSY-Framelord Omega. Omega adds a bit more banishing retrieval to your deck, which always works well in Infernoid. While the other baby Infernoids are very important to the deck as a whole, Patrulea is the best as it is the Level 4. First, it gets to wipe away a Spell or Trap, and secondly, you can use multiple Patrulea and/or a Decatron to go into R4NK Summons. Funtip – Bujintei Amaterasu is an amazing monster to summon, since it can Special Summon back Decatrons and add back other banished Infernoids. One of the key combo pieces for the Fluffal engine, gets you your Vendor to then go into Wings plays or simply take a chance at getting a lucky topdeck. The reason to run a Fluffal engine in the deck. The amount of free draws and the re-usability due to Omega make the angel wings a must-have. The last necessary piece of the Fluffal engine, searches when discarded for another Vendor, for Vanishment, or when sent to the Graveyard by Wings. Also can be a great way to bait Spell negation, cause either they let you complete your Wings play or you get a free Fluffal to hand. A build using the Fluffal engine is at its absolute best when relying upon the Void support. Many of the cards listed below build upon the foundation and groundwork laid by the key cards above. They can be used to expand upon the Fusion engine, expand upon the Fluffal engine, expand on Infernoids, etc. This is a deck that I would not advise just filling extra slots with large numbers of Trap cards, cause you are running a combo-heavy deck, but I guess you could also consider the Solemn suite if you really desired having it. Fluffal Dog – I personally always run this card at two at minimum when using the Fluffal engine. It expands the two card combo to Dog + Wings/Bear OR Wings + Bear. Burial from a Different Dimension – Works well with the Fluffals and Infernoids, especially when you are sure that you will be banishing tons of cards. One for One – Serves as a 4th copy of Decatron. Great for pulling it from the deck without wasting your Normal Summon. Additionally, you will compensate for the initial -1 with the effect of the Infernoid effect you can use. Twin Twister – While most see this as more of a staple, I consider it a tech in here due to the already high amount of Spell or Trap destruction. Although, it does get cards from your hand into the Graveyard, which works well with both Fluffals and Infernoid, so both arguments can be made. Fiendish Rhino Warrior – Gives you superb control of your Graveyard and even more power to fill the Graveyard with the Fiend-type Infernoids to fuel future summons. Also protects your Infernoids from destruction, but that can overlap a bit with Void Seer. Fusion Reserve & Fusion Conscription – If you want more search power to be able to Imagination without your opponent needing a monster summoned from the Extra Deck, consider these options to add Onuncu or Devyaty from the deck to the hand by revealing Tierra. Red Sprinter – Normally not seen outside of Resonator decks, but this card can actually function pretty well with Infernoids due to the existence of Decatron. Makes 1-card Synchros, specifically for Level 6 which will soon include Coral Dragon! Rekindling – Decatron has 200 DEF, you have controlled ways to get them to the Graveyard, time to cash that in. Earthshattering Event – Interesting tech option if you want to recycle cards such as your Toy Vendor that find their way to the Graveyard. Additionally, you only mill Infernoids once per turn, unless you are going for an Imagination summon after you have already milled. But the other side effect is that you get to return Onuchu or Devyaty to the deck for an Imagination summon if needed. It has tons of potential, but only falls to a tech option because it does not grant any direct card advantage, not that you need it due to the Fluffals. Note, if you want to run a TCG build of the above deck, simply drop Elder Entity N’tss by fitting in 3 more Xyzs or Synchros into the Extra Deck of your choice. They are not necessary, but they do combo extremely well with Tierra’s 5+ effect. As always, the above list is just my personal build. In particular, this deck has a lot of wriggle room, because there are so many different Infernoids and a wide variety of effects to consider including. Also, the pool of support is pretty large as well, you don’t have to just stick with the cards I’ve listed! At any rate, have a bit of fun being creative, but most of all, enjoy dueling for just how fun it can be! Until next time! Reminder, I also take suggestions for future CDS articles! While I have not run out of cool ideas, I do want to be writing articles about strategies you are interested in. 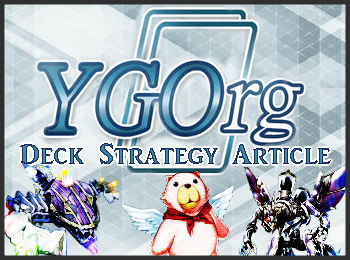 So if you desperately wish to see a CDS article about the archetype, theme, or strategy you love, feel free to private message me on the YGOrg Discord server with your ideas: my username is Quincymccoy.